Flexsenhar’s project investigates the Agrippesioi and Augustesioi synagogues, which on the basis of their names are usually dated to the first-century CE and connected with slaves of Marcus Agrippa and the emperor Augustus. A collection of epigraphic and topographic evidence for the other synagogues of ancient Rome and for cult buildings of other ancient minority groups, including Christians and followers of Isis, tends to show that cult buildings were named on the basis of topography rather than of founders’ names. A broad collection of data will place the development of these two synagogues in the third- and fourth-century and locate them in the local Roman topography. It will also articulate more precisely the history of Jews in Rome and elucidate more critically the intersections of slavery, ethnicity, and religion in the imperial capital. Investigations of the Marzamemi “church wreck” off the coast of Sicily seek to explore the religious, economic, and political context of this famous 6th-century cargo of prefabricated church architecture. Building on fieldwork since 2013, we aim now 1) to excavate a new sector of the site that can reveal clues to the ship, crew, and cultural context, and 2) to undertake 3D recording and analysis of the monumental architectural elements. 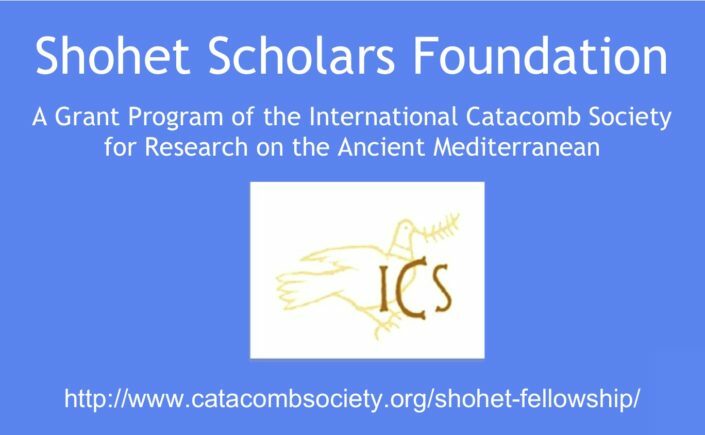 These efforts will offer a rare window into the roles of high commerce, mundane exchange, local religious patronage, and imperial ideology in tying together the Mediterranean during the twilight of ancient maritime connectivity. This project examines the social ties that defined religious associations at Roman Ostia through a digital humanities approach. The Ostia Connectivity Project (OCP) uses data analysis and Geographic Information Systems (GIS) mapping technology to consider how religious communities embedded themselves in the social networks of ancient Rome’s port complex at Ostia. Utilizing an archive of over 6,500 inscriptions and newly published graffiti, OCP charts the complex layers of relations that facilitated connectivity between religious groups, and sites. Through this approach, OCP can visualize the different scales of complexity that connect the local with the global, allowing us to account for the work that each relation does in making religious connectivity possible across the ancient Mediterranean.